Experience: Our many years in the boat transport industry have taught us all we need to know to work with any type of boat or specialty watercraft. You name it, we’ve shipped it! Even our transport drivers are veterans when it comes to shipping everything from yachts to jet-skis and everything in between. Our extensive knowledge and proficiency in maritime law and international customs can also come in handy if you find yourself in unfamiliar waters. Assurance: Yacht Transport Direct does not just talk a big game, and then fail to deliver. We are much more concerned with the end result and consumer satisfaction. Our confidence is founded in our experience, and we pride ourselves on our stellar reputation and history of repeat customers. Not only that, but our current customers often refer additional potentials to us, so word of mouth is our best advertisement. Reliable: When allowing someone to take custody of your most prized possession; you will want to feel confident in their abilities to follow through on their promises. Yacht Transport Direct makes it a point to go above and beyond the call of duty, always being sure to over deliver on our guarantees. Our consistency and dependability is truly what sets us apart from our competitors, and it is the reason that you will feel comfortable allowing us to take care of your boat. Specialist: We consider ourselves industry experts, not only in the field of boat transport, but also that of maritime law. It is important to enlist the help of someone who knows more than you do when it comes to a foreign or unique concept. The absolute last thing you want to deal with is a company who is clueless in matters pertaining to boat transport. Safety: Yacht Transport Direct maintains that safety is our number one priority, which is why you will notice that our transport carriers are always in great condition and well-maintained to avoid mechanical failures. Our drivers adhere to a strict training program with follow-up safety courses over the entire length of employment. We employ the best team of drivers available and always keep our equipment on the cutting edge of technology to ensure a safe move for your boat or specialty watercraft. Because our range of services is so extensive, please complete the contact form on the right for a custom quote. Our skilled and professional agents are standing by to help you through the process, from beginning to end. 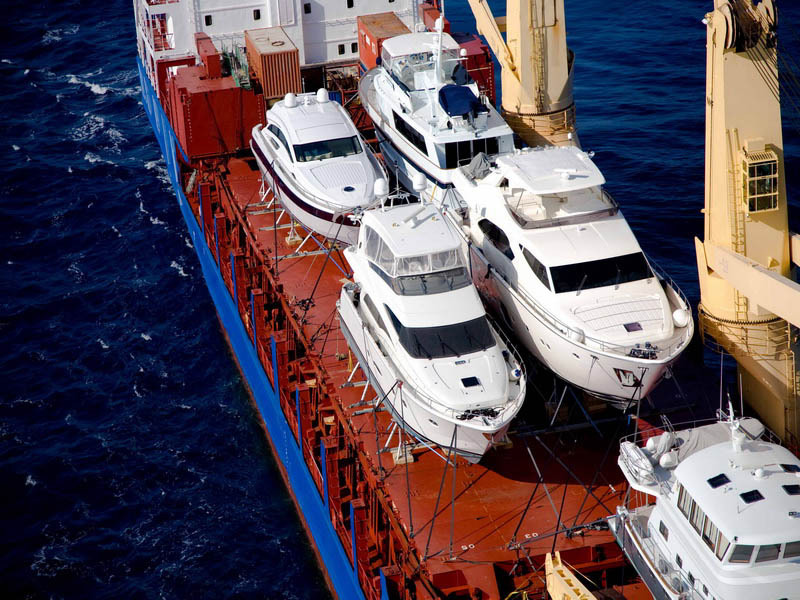 Yacht Transport Direct looks forward to being your number one choice in boat shipping again and again.